The Financial Times and The Art Newspaper. Georgina Adam has spent more than 30 years writing about the art market and the arts in general. She is art market editor-at-large for The Art Newspaper and a contributor to the Financial Times. She is the author of “Big Bucks, the explosion of the art market in the 21st century” (Lund Humphries, 2014) and “Dark Side of the Boom, the excesses of the art market in the 21st century” (Lund Humphries, 2018). In addition to her specialisation in the art market, Adam is particularly interested in emerging cultural centres. 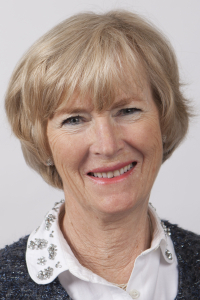 She lectures at Sotheby’s Institute in London and participates in panels about the market: she is a board member of Talking Galleries, patron of the Association of Women Art Dealers (AWAD), member of the International Association of Art Critics (AICA) and The International Art Market Studies Association (TIAMSA).